This chapter explores the development of youth agency and its relationship to community transformation by focusing on the Preparation for Social Action (PSA) program, an educational program developed by a Colombian NGO, FUNDAEC. Correa and Murphy-Graham draw on qualitative data from a study conducted in 2014 to describe how students develop a sense of agency and how this becomes a catalyst for individual and community change. The authors focus their findings around two elements of the program: How students begin taking action in small and concrete steps through community service and the use of individual and collective reflection exercises that allow for greater self-awareness. DANE (Departamento Administrativo Nacional de Estadística). (2005). Censo 2005. https://www.dane.gov.co/. Kwauk, C., & Perlman-Robinson, J. (2016). 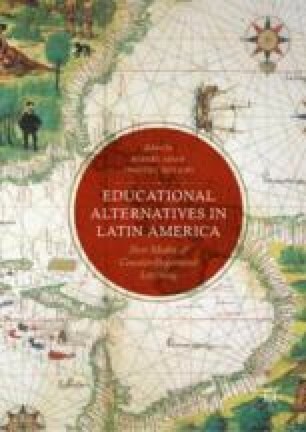 Sistema de Aprendizaje tutorial: Redefining secondary education in Latin America. Washington, DC: Brookings Institution. https://www.brookings.edu/wp-content/uploads/2016/07/FINAL-SAT-Case-Study.pdf. Last accessed 28 Nov 2016. VanderDussen, E. (2009). A spirit of service: Conceptualizing service in learning through the preparation for social action program in Uganda. Unpublished MA thesis, Ontario Institute for Studies in Education, Canada. Available online at https://tspace.library.utoronto.ca/bitstream/1807/18111/1/vanderdussen_elena_200911_MA_thesis.pdf.